Note: This part of a series of stories aimed at encouraging businesses to think proactively about safety. Creating a culture of safety doesn’t come without some work from a company’s management and its employees. A collaborative approach, however, can lead to lower instances of workplace injuries and workers’ compensation claims. Adhering to these seven tips can ensure top-to-bottom buy-in and create an organization that is proactive with risk management rather than reacting to instances of workplace injuries. Buy-in and commitment from a company’s ownership/senior management. Treating safety as an investment and not a line-item expense. Providing training and evaluation for everyone within an organization. Putting in place a system for hazard prevention and control. Creating a non-punitive work environment to foster open communication. Celebrating successes of an incident-free work place. A previous blog defined what is a culture of safety. The following are strategy and implementation steps for people in ownership/senior leadership roles. Senior leaders walking through work areas shows a commitment to safety and an overall concern for employee well-being. Regular rounds help facilitate two-way communication. Senior leaders should commit enough time to this each week that interactions aren’t rushed and employees can engage in dialogue with management to address any issues or concerns they may have. Encourage employees to show potential problem areas or highlight them with pictures. This communication should be sincere and honest, with managers intent on listening. However, conversations in this context should be limited to safety-related matters. Senior leaders also are encouraged to provide feedback to managers, supervisors and human resources personnel to ensure follow-up and accountability. This could be done through regular safety briefing meetings that operations, human resources and safety personnel attend. Increased emphasis on creating a culture of safety also should lead to employees more frequently voluntarily reporting issues to supervisors. Again, a non-punitive reporting system encourages communication. When issues are reported, management follow-up and action is key. Action needs to be immediate to correct any problems. Senior leaders should then ask for employee feedback on how the change or changes impacted their job. The objective here is fact finding, not fault finding. Employees should be encouraged to share with their peers how safety issues were reported and addressed to encourage others to speak up as well. Pre-shift meetings conducted by middle managers or shift supervisors are a good way to get people to be thinking about safety. These meetings should be brief as to not overload team members with too much information. Pre-shift meetings also need to reinforce non-punitive communication. Having an audit and observation program is another important facet of a culture of safety. Safety audits should be conducted monthly. Employees observed not following safety protocols presents opportunities for documented coaching. Conversely, employees who are observed adhering to safe practices should be praised or rewarded. Positive reinforcement can go a long way in reinforcing a culture of safety. The ultimate goal with all of these steps is to change how we all think and look at safety. In order to reduce injuries, we must change behavior. Contact Syndeo for more information and assistance with setting up safety audits and training. 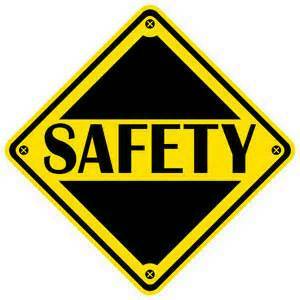 We can help your company implement a culture of safety.